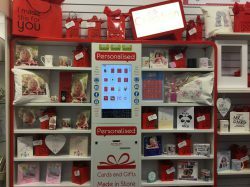 If you want to add the personal touch to your mother’s day present this year visit Candles & Co personalized Creation Station. You can simply put your own photographs on to different products such as Cushions, Photo Frames, Hearts, Phone Covers & Candle Holders! The store also has a wide selection of WoodWick candles & Pop a Ball ‘s (The perfect touch to any glam mams drink ). Click HERE to visit their FACEBOOk page!! Coco Blush can help you pick out a fabulous outfit for your mother! If you need a hand picking out some accessories the team can help you out… Why not really spoil your mother and take her out for an extra special treat and she can show off her new outfit! Why not buy your mother something, which will really make her smile! Buy her a gift which can take pride of place in her home! Wilko’s has lots of cool & quirky home items! You can purchase a statement photo frame and fill it full of your memories with mum! This is guaranteed to make her mothers day and remind her of your appreciation every time she sees it! Valley Mill specializes in personalizing Welsh Slate. They really know how to make a perfect gift, one that really matters. 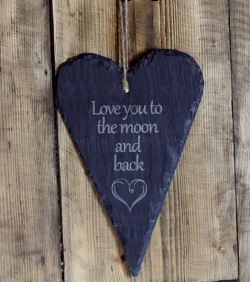 You can personalize slate picture frames, Slate clocks, Slate coasters & placemats! Valley Mill also sells natural Soy Candles which are handmade in Wales! Do you have a favorite photo of you are your mother? Maybe of the whole family? 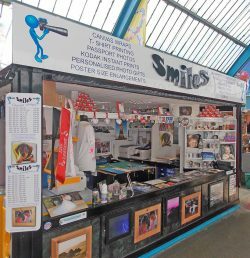 At Smiles you can get images transferred onto clothing, jigsaws, Canvas Wraps, Mugs & Cushions. Give your mother something she can treasure forever! You can trust Smiles to make you proud as this family run business has been creating perfect photo gifts for over 10 years. Keep it classic this mothers day and treat your mam to a beautiful bouquet of flowers. Select your mothers favorite flowers and ask the staff to create something really special for you! 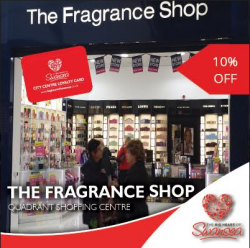 The Fragrance Shop are offering you 10 % off when you show your Big Heart of Swansea App. This will help you splash out that extra cash this mother’s day! Sometimes a fragrance can help capture a memory, So create one this year which a smell can remind her of forever. 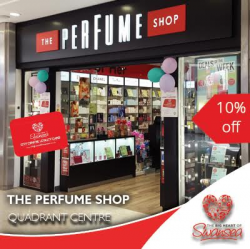 Take a trip to the Perfume Shop this mothers day to test out all of the lovely smells they have on offer. Taking the time out to pick a special fragrance for you and mam can really add the extra touch to your gift this year. Sometimes not sticking to her usual fragrance will pay off! Show your Big Heart of Swansea app to get 10%. Does your mother deserve an extra special treat this year! We are sure she would love to spend some quality time with you! 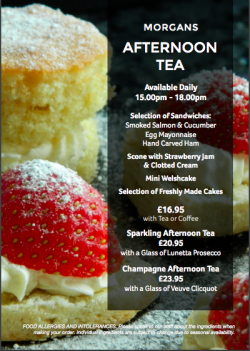 Morgan’s are offering afternoon tea every day between 3PM – 6PM! Afternoon tea includes a selection of mini whole meal rolls & a selection of sweet and savory snacks! Why not go all out and add on a glass of Prosecco or Champagne! 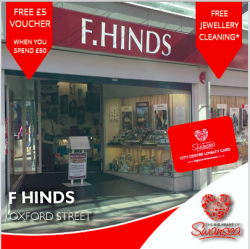 F Hinds have a beautiful selection of charms and charm bracelets. The perfect gift that you can add on to every single year! Charm bracelets can help capture different memories over the years. They become a beautiful keepsake! Something for mam to look back at in years to come! Does your mother have an excellent sense of humor? If so Attica will be right up her street! 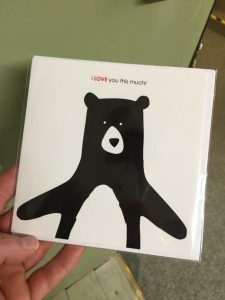 Get her a card which will make her giggle this mothers day. Attika stock a variety of fun & quirky items so make sure to pop in and take a look! Do you want to do something that will really melt your mother’s heart? 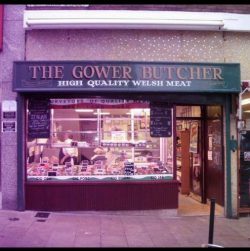 Pop into The Gower Butcher and pick up some of their amazing fresh meats. Breakfast in bed? Steak and Peppercorn Sauce? Or even a full Sunday Roast? Wine and dine your mother ( or the whole family ) from the comfort of your own home! Set the table nice and pour her a glass of wine! This is a guaranteed hit! Spend some quality time with your family a gift your mother will treasure! 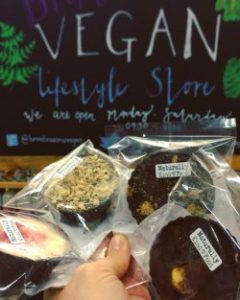 Brontosaurus is a Vegan Life Style store in Swansea Market. They have a delicious selection of all kind of foods. Brontosaurus stock naturally Kind Food chocolate cupcakes and chocolate bars. This mothers day treat your mother to some sweet treats with a difference!